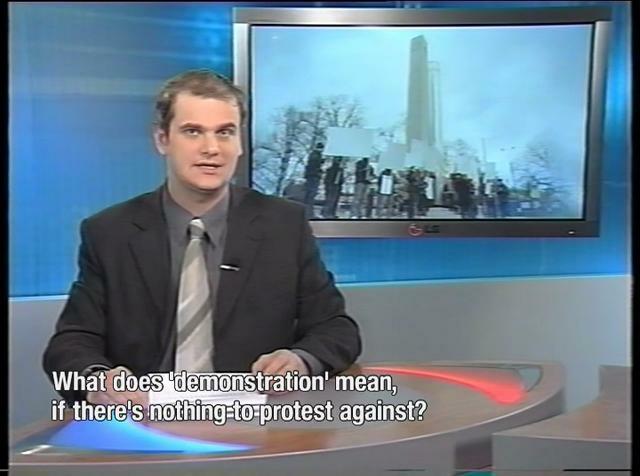 This demonstration was part of our workshop ‘Means of Promotion’ at the Estonian Academy of Arts, in Tallinn. The workshop examined different strategies for being a parasite on existing media. 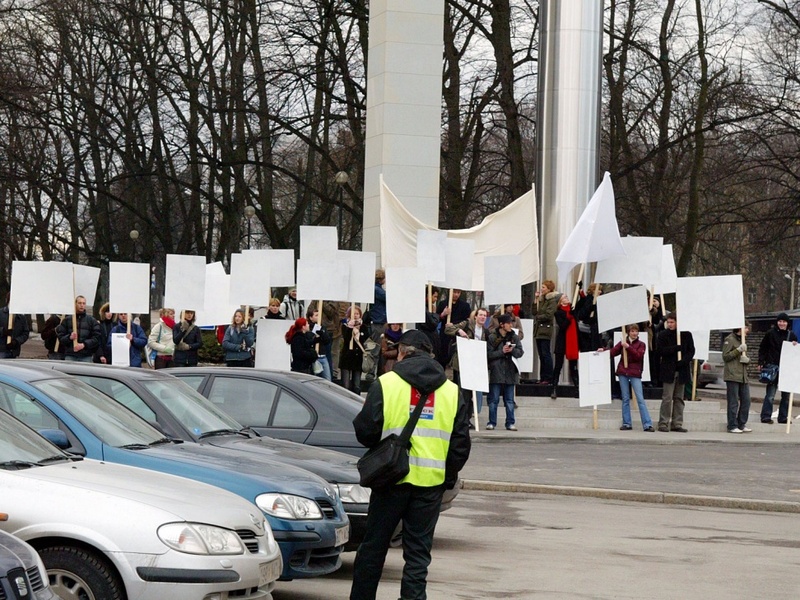 We organized an unregistered demonstration with empty banners by the Liberty Clock monument in Tallinn. 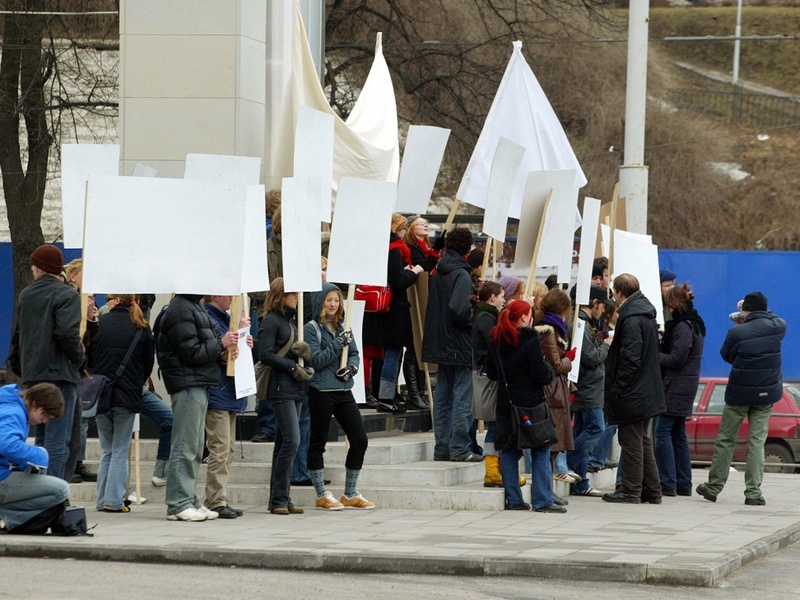 Estonian law requires that a demonstration be registered with the authorities. We did not ask for such permission, thereby bringing into question whether or not this was an illegal action. 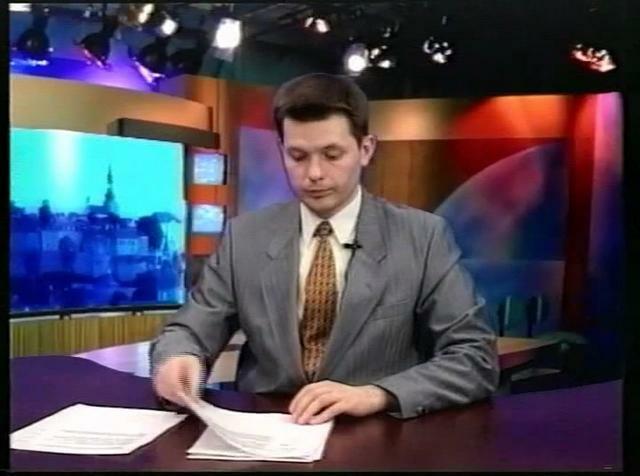 The event was covered by all the major TV stations and newspapers in Estonia.